Whether your tattoo is technically poorly done, out of fashion, or if you simply feel it no longer reflects your personality, we can offer you the option to remove it without causing damage to your skin. We are fortunate to be one of the 6 clinics in the UK using the world leading Quanta Q Plus C Laser. 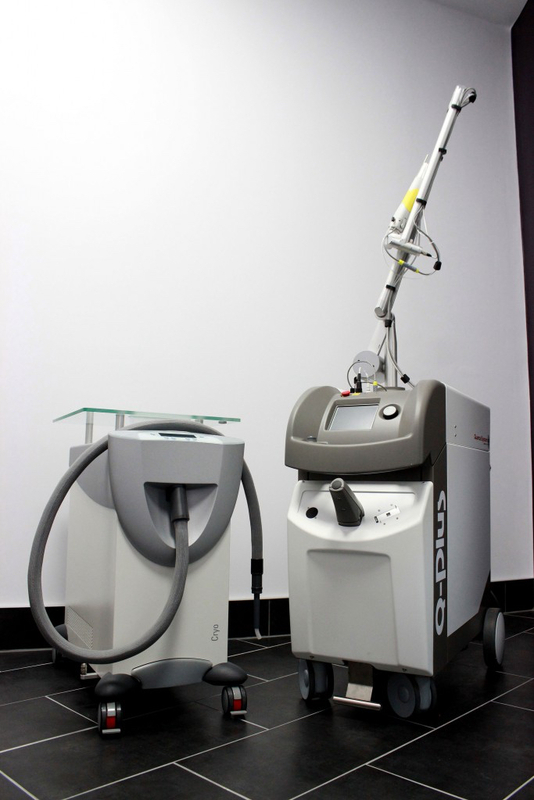 This laser is the most powerful tattoo removal platform available with 3 primary wavelengths to target all treatable colours including a Ruby Laser to remove green and blue ink. 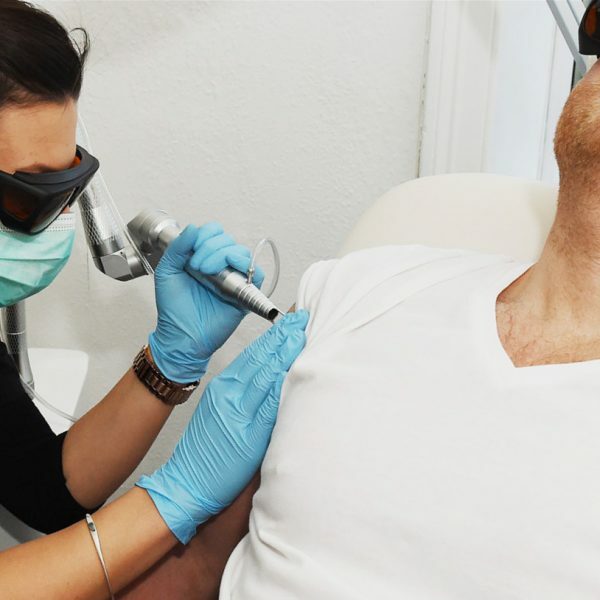 Our technicians have undergone extensive training with Lynton Lasers (laser suppliers to the NHS) and Manchester University including Advanced Skin and Laser Applications and specific Tattoo Removal and IPL Training. Prices start at £40 (and then increase accordingly in line with the size of the tattoo) up to around £150 for the largest amount of ink we can safely treat in one session. Quotations are provided on an individual basis and are dependent on the size and ink density of the tattoo. Assessment of your tattoo and skin health. Advice throughout the treatment period. An aftercare pack for each of our customers.Contact us to book a free no obligation consultation. We use a Cryo Cooler to provide rapid, controllable and effective pain relief. This device delivers a jet of air at -30°C directly to the skin surface during tattoo removal and IPL treatments. It can be used before, during and after the treatment to reduce treatment side effects such as swelling and discomfort.